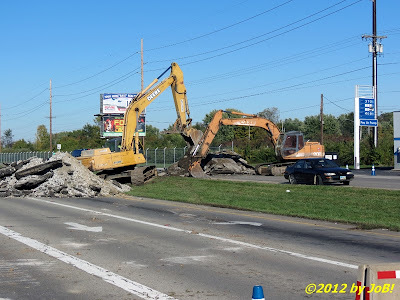 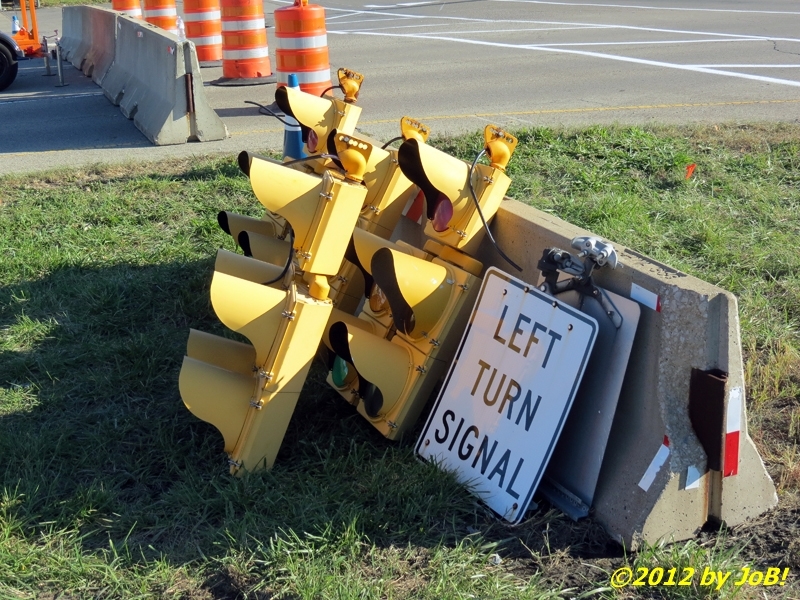 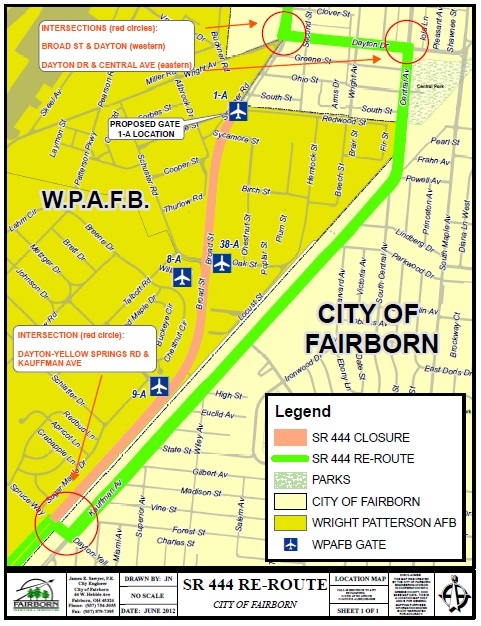 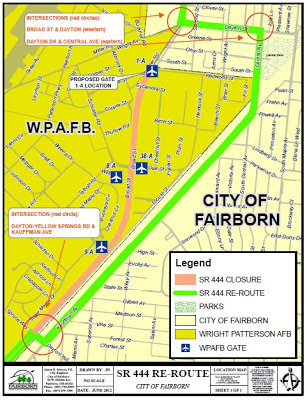 FAIRBORN, OH -- On Tuesday, workers began the task of permanently closing off a 1.5 mile span of Ohio State Route 444, a major commuter artery for Fairborn, a city of over 32,000 residents east of Dayton situated in Greene County. The decision to close the portion of this 8.4 mile thoroughfare that ran through the base was first announced in March 2010 in response to neighboring Wright-Patterson Air Force Base's need to meet Department of Defense installation anti-terrorism/force protection standards. 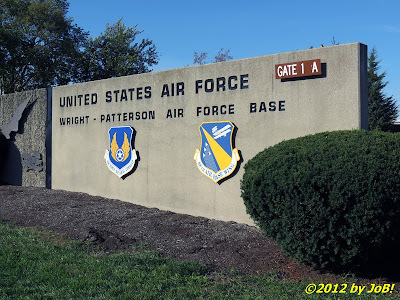 The now-shutdown stretch of this route, which sits on federal land originally leased to the state back in 1932 for the purpose of building the road, provided easy driving access to patrons of the base's Kittyhawk retail area as well as to the Wright-Patterson Medical Center. 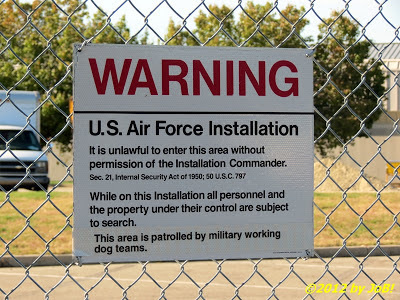 This closure now consolidates all parts of the base's Area A into one contiguous region and users of those facilities will now have to use alternative routes within the military perimeter to get to their destinations. 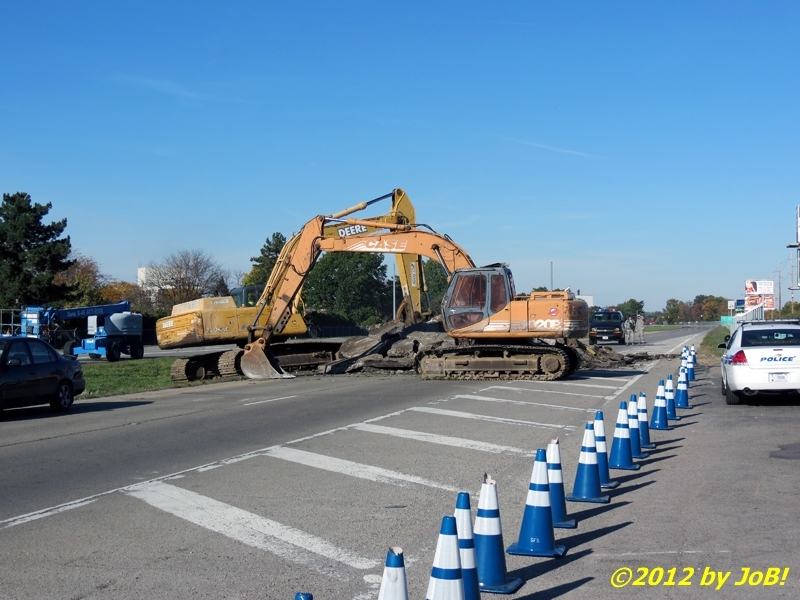 Construction is currently taking place at both ends of the now-closed road to seal those newly created breaches off to the public. 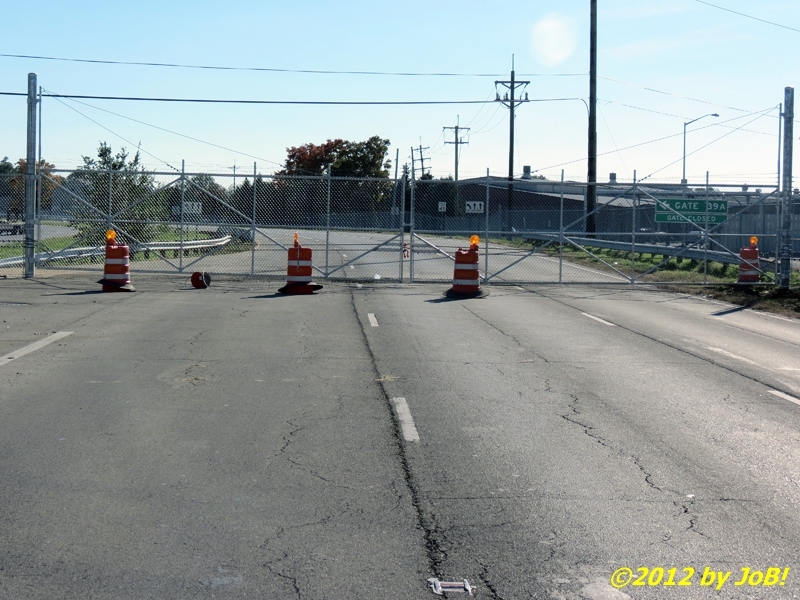 While the southern end, adjacent to its intersection with West Dayton-Yellow Springs Road, will be completely fenced off, plans call for installing gates at the northern end, near the base's commissary, to accommodate the proposed move of Gate 1A from its current location on Springer Road/Wright Avenue to its new site by mid-November. 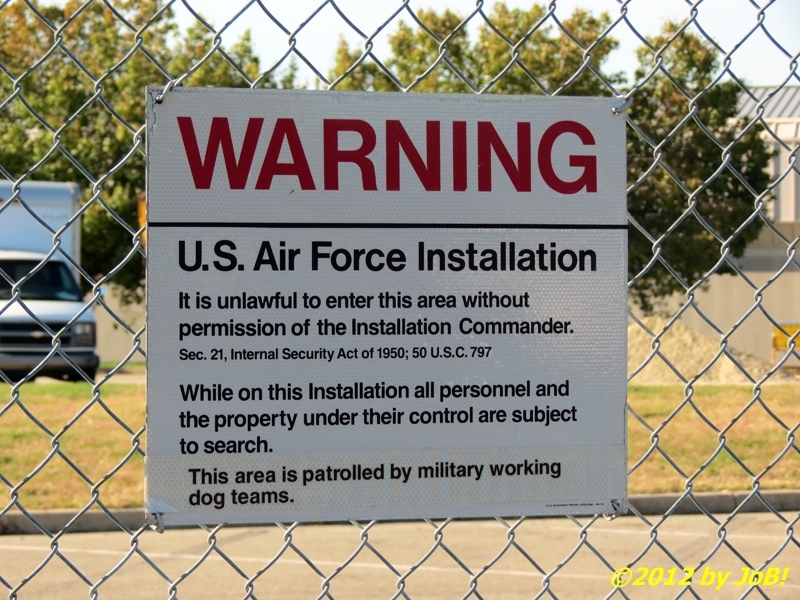 Until the perimeter fencing is closed, security personnel are being posted at that southern end to deter any unauthorized intrusions into the base's controlled area. 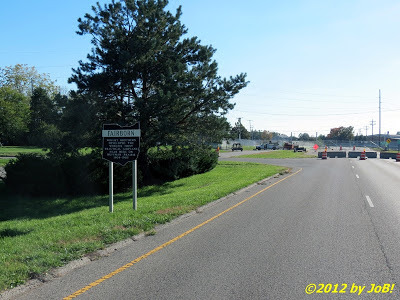 The 2.2 mile freshly branded byway for Ohio State Route 444 runs principally along the city's South Central and Kauffman Avenues from near the downtown area out to West Dayton-Yellow Springs Road. 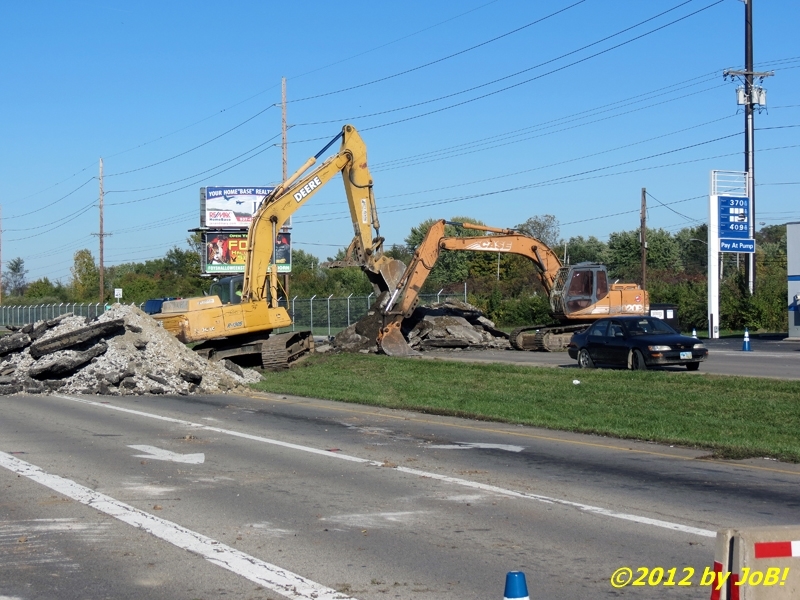 The linkage with the section running south into the city is completed via West Dayton Drive. Currently a mixture of single and double lanes, Kauffman Avenue will require uniform widening to accommodate the anticipated increased traffic flow caused by this closure. 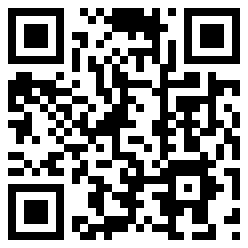 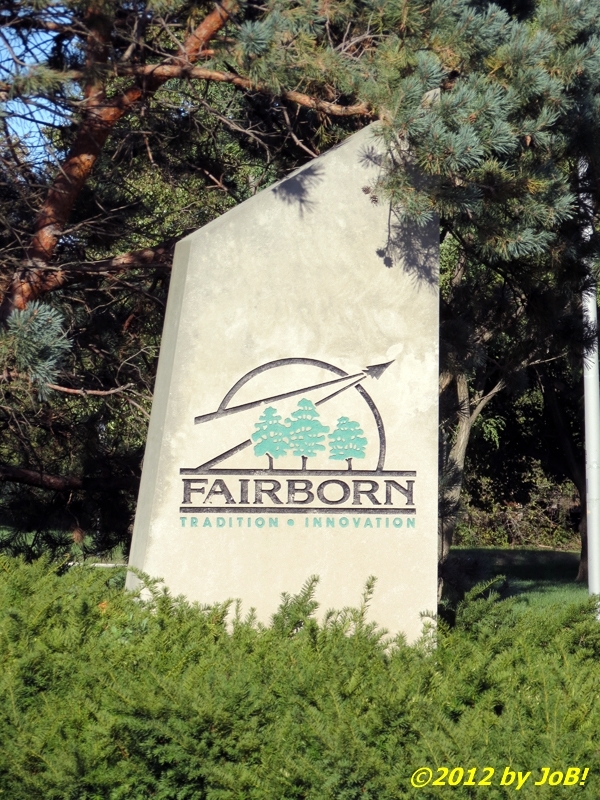 In a January 2012 memo responding to an environmental impact statement concerning the base's action, city manager Deborah McDonnell addressed that as well as other logistical and economic issues that will immediately impact Fairborn public services and retail establishments. 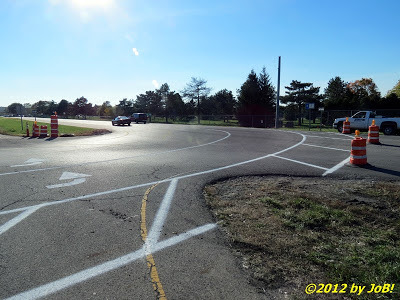 In preparation for Tuesday's closure, Ohio Department of Transportation officials have already placed route signage along the road and lines have been painted at the southern end to acclimate drivers to the new traffic patterns.